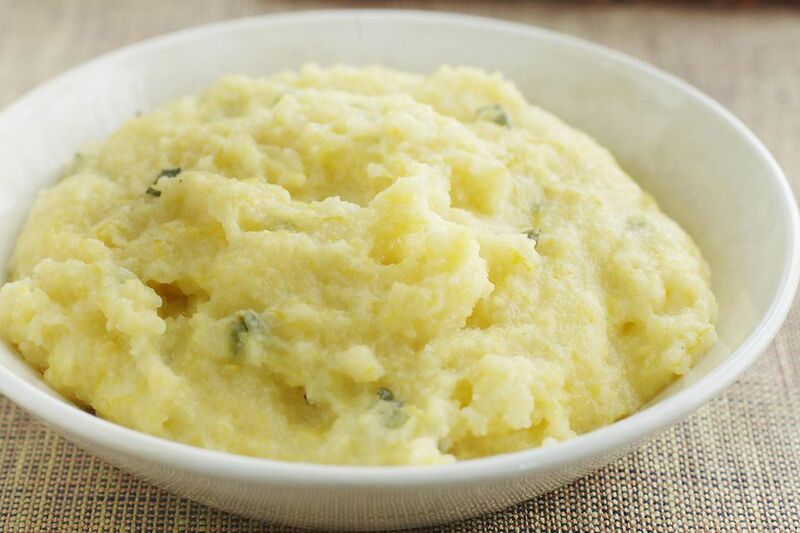 Polenta, the Italian answer to cornmeal mush, is tasty, extremely versatile, and an ideal accompaniment to all sorts of things. Though it can be bought ready-made, purists are correct in saying that what one makes at home is better. In short, how to make polenta. Set the water on the fire in a wide bottomed pot and add the salt. When it comes to a boil, add the cornmeal in a very slow stream (you don't want the pot to stop boiling), stirring constantly with a wooden spoon to keep lumps from forming. Making polenta from scratch like this takes a fair amount of effort because you really do have to stir constantly, or the polenta will stick to the bottom of the pot and burn. If you like polenta, you should consider purchasing a polenta maker, which is a pot with a motor-driven paddle that takes care of the stirring for you. Also, while polenta is nice year round, making it in the summer will heat your kitchen, which is something you would likely rather do without. Commercially prepared polenta doesn't have the consistency of the home-made variety but will work and is a terrific timesaver.